The STF Crew is joined via Skype with Aaron. Jordan had to work late. But, the rest of the boys (Alan, Fro, Chase and Romey) are in the house! We are joined at the end by Seth Miller, a fan from Missouri, who takes on Rapid Fire and offers us some advice. This is one of our funniest episodes so far. Thanks for listening! As always, please take the time to leave us a 5-star review on iTunes...it helps! Tell your friends to subscribe! And follow us on Facebook at "@theSTFamous". While you're there, pick up an official STF t-shirt at our Facebook store! Thank you for your support! Episode 32 - Tigerfest - Part 2 - The Crew on Location From Their Hometown of Taylor, Arkansas! Kicking off Season 2 of Small Town Famous, the crew records live at the annual Tigerfest Festival in their small town home, Taylor, Arkansas. This episode is dedicated to neighbors, friends, and families that keep us going! Special thanks to our sponsors for this episode: Northwest Regional Hospice of Louisiana, Billy Bland Fishery, Whitehead Marine & Outboard Repair and TJ's Backwoods Bistro. Thanks again to our sponsors and to our hometown, the origination the Small Town Famous concept, Taylor, AR! By the way, if you get a chance, check out Cody Grant's website and his products at Empyre South! Episode 31 - Tigerfest - Part 1 - The Crew on Location From Their Hometown of Taylor, Arkansas! 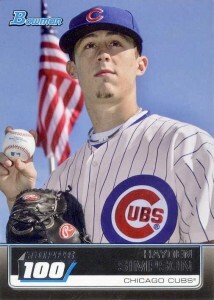 The STF Crew welcomes a small town guy from Magnolia, AR (20 miles from STF Headquarters) who just so happened to have been selected number #1 in the MLB Draft back in 2010 by the Chicago Cubs: Hayden Simpson! We've planned to have him as a guest since our podcast began. Hayden has a story to tell that most of us haven't heard. If you know of Hayden, you may have heard the tragic story of an unknown pitcher from a small town in Southern Arkansas who was picked up in the first round of the 2010 draft. The story typically hinges on how he developed mononucleosis immediately after signing with the Cubs. Then, the story turns to how mono wiped him out and eventually ended his career...he just never got his 96 mph fastball back. And, what's worse, you may have heard even nasty rumors that were started about Hayden. Not to mention the ruthlessness of the media (both local and national) in Chicago who never forgave Hayden for "not showing up", as it were. Well, if that's the "story" you know, then you are dead wrong. Listen to the truth from Hayden regarding the business of professional sports. Let his experience at the top level be a warning for those who venture into professional sports. Some information we uncovered after some research verified what Alan had been saying for a long time now...Hayden had mono. But, mono didn't end Hayden's career. The machine of Major League Baseball did. 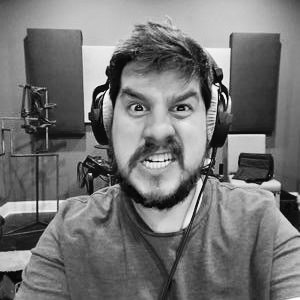 Here's part 2 of our 2-part podcast with STF Crewmember and Sound Engineer/Producer, Aaron Willis! Aaron tells us how he became Tim Hawkin's sound engineer all while Jordan continues his "lashing out" at Tim. We also hear about Aaron's music being used on MTV as well as his EDM jam as background music for a hunting show. There's so much here...ya just gotta listen! COMING SOON: We are in the process of setting up our store on our Facebook page! So, come by and grab a STF t-shirt and support us as we continue to grow! As always, if you like listening to genuine Southerners talking about the greatness that is "small town life", then this is your podcast. Give it a listen, and don't forget to leave a 5-star review on iTunes and on Facebook. A 5-star review enters you into our STF™ Review Contest. Please, keep hitting that iTunes "SUBSCRIBE" button! Show us some love by visiting our Patreon page. Learn how to show your support for STF at www.patreon.com/smalltownfamous. As a wrap-up to our trip to Dallas and Season 1 of Small Town Famous™, we spend the day with STF Crewmember and Sound Engineer/Producer, Aaron Willis! This is part 1 of a 2-part podcast. Aaron, known by many as the "King of Audio Engineers", not only gives Small Town Famous our signature sound. He is best known as the Sound Engineer for comedian Tim Hawkins. Aaron sits down with the rest of the team at our STF Satellite Office (Aaron's house). But, this time he is in FRONT of the mic! Aaron had met up with the gang upon our arrival at Top Golf in Dallas. We discuss our adventure to Top Golf. But, the real comedy happens when Jordan talks Romey into coercing the crew into a trip to Zero Gravity (see the results of the latter on a hilarious Facebook video!). It's a move that Jordan regrets rather quickly. See the video and you will know why! We talk about the end of the night festivities that thankfully everyone walked away from as Aaron escorts us to the seediest Karaoke place in the DFW area. During our recording session, Aaron drops a big surprise on the crew as a gift! We find out that Jordan apparently doesn’t like heights, Fro can sleep right through a podcast recording session, Alan has a unique ability to insult someone in a manner described as “Ridicule By a Thousand Cuts” and that Romey is a “real man”. Chase navigates us through the ever-popular "STF Rapid Fire"! He also tells us about his early morning business meeting with a barefooted-mystery man at the Hampton Inn breakfast cornucopia. Aaron tells his and his wife's "squeaky bed" anniversary story. And, Jordan finishes with his story of not being allowed to fly a paper airplane by the military. 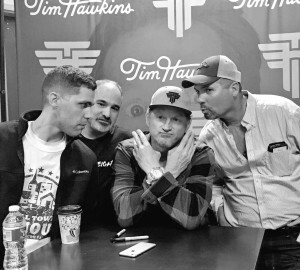 Oh, and J lays down the hammer with his unilateral “quiet beef” with Tim Hawkins (who we all love, by the way. This is totally between Jordan and Tim). There’s so many topics, you’ll just have to listen to catch ‘em all! As always, if you like listening to genuine Southerners talking about the greatness that is "small town life", then this is your podcast. Give it a listen, and don't forget to leave a 5-star review on iTunes and on Facebook. A 5-star review enters you into our STF™ Review Contest. Please, keep hitting that iTunes "SUBSCRIBE" button! The first 200 to pledge $1 per month on Patreon will receive access to private episodes never released. It's funny stuff that just couldn't make it on the family-friendly show. Also, exclusive Bob Smiley episode that Alan never released! So go to Patreon at www.patreon.com/smalltownfamous to be included! On this episode, the STF crew is traveling to Dallas to have fun and podcast with our producer, Aaron Willis. We stop in Texarkana, TX to record with STF fan, Earl Gill, Sports Writer for the Texarkana Gazette! We discuss the Dallas Cowboys, local prep athletes we need to keep our eye on (including a friend of STF: Matt Goodheart from Magnolia, AR), and much more. Earl talks about going to school at the University of Arkansas where he went to class with Darren McFadden, Felix Jones, and other known folks. We are immediately disarmed by the size of Earl when he walks in the door (he's 6'6"). Chase thought that Earl was "Earl's bodyguard". Alan insults a certain Cowboy, until he finds out that Earl is personal friends with him. Alan regrets it immediately (sorry Terrell Owens...I love you!). Jordan steals Alan's car. Chase talks about his favorite "Cowboy" and his love for California. Jeffery runs the episode...so there's that. Romy brings out the knowledge when a steroid debate breaks out! If you want to reach out to or follow Earl, email him at egill@texarkanagazette.com or Twitter @EarlGill10. As always, if you like listening to genuine Southerners talking about the greatness that is "small town life", then this is your podcast. Give it a listen, and don't forget to leave a 5-star review on iTunes and Facebook. If we love your 5-star review you may win a coveted STF t-shirt. Please, keep hitting that iTunes "SUBSCRIBE" button! Episode 26 - Alan and Chase welcome Jerome to STF! And Jerome has a big surprise for us all! Alan and Chase welcome Jerome to STF™ as our newest co-host! Jerome started as a fan, became a guest and supporter. After moving his family to the great small town of Taylor, it was a no-brainer to have him join the crew. We’re blessed to have him and he’s fitting right in. In this episode, Alan, Chase and Jerome open up with our popular “STF Rapid Fire” segment which has been updated to include 3 rounds: previous/future guest, faithful fan, and a random listener or crew member. Leading off at the plate is previous popular guest, Geoffrey Orr. On deck, we have listener “Filthy Phil” who doesn’t disappoint! We end with faithful fan, Robbie Cruse, from Demotte, Indiana. Robbie has been a great fan from early on. Thanks Robbie! If you’d like to be on the show, contact us on our Facebook page where you can leave a message or click the “send email” button to leave us your contact info. You’ll hear back from us promptly. In this episode, we review the McGregor/Mayweather fight We talk about what our UFC fight name would be. 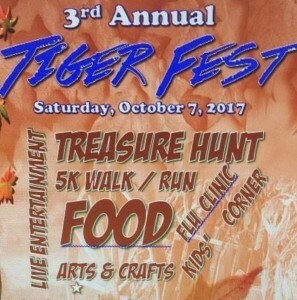 We talk about our upcoming Tigerfest festival where we will podcast live on October 7th. We also talk about our planned trip to Dallas in September (a present from Alan’s wife, Leslie, for some go-cart racing, Top Golf golf and podcasting with our World Famous Producer, the Legend, the man, the myth...Aaron Willis! As always, if you like listening to genuine Southerners talking about the greatness that is "small town life", then this is your podcast. Give it a listen, and don't forget to leave a 5-star review on iTunes or Facebook. If we love your review, we will give you a coveted Small Town Famous” t-shirt! So, please, keep hitting that iTunes "SUBSCRIBE" button! Not on iTunes? 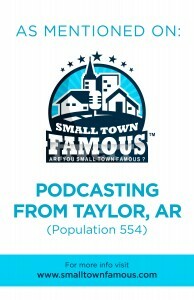 Visit www.smalltownfamous.com to subscribe using your favorite podcast player. And, remember our Patreon challenge for our listeners: The first 200 to pledge $1 per month on Patreon will receive access to private episodes never released. It's funny stuff that just couldn't make it on the main show. Also, we have exclusive Bob Smiley episode that Alan never released! So go to Patreon at www.patreon.com/smalltownfamous to be included! Alan, Jordan, Chase, and Jeffery are back in the "studio" for episode 025. We apologize in advance about this episode. We were excited about the whole crew being back together and we were a bit "giddy". We are very random, but it is funny! CAUTION: This episode could affect those with ADD. This episode is a little bit dated as you may determine...because we make our McGregor/Mayweather predictions! We have a rapid fire segment that Jordan kills! And, we have THE final insult game...you're welcome. And, Chase pretty much destroys Fro. Alan cracks on Chase's nose. We hear a secret recording that Fro's wife, Amanda, made of Fro. We hear about Wednesday business meetings at STF's home church. 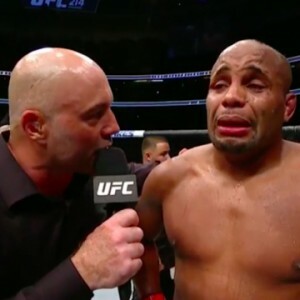 We talk about movies that make us cry...like Daniel Cormier. As always, if you like listening to genuine Southerners talking about the greatness that is "small town life", then this is your podcast. Give it a listen, and don't forget to leave a 5-star review on iTunes, Facebook or, the new IMDb for podcasting, Podchaser (www.podchaser.com). A 5-star review enters you into our STF™ Review Contest. Please, keep hitting that iTunes "SUBSCRIBE" button! In this special episode, Alan and Jordan interview Anistyn Nolte. It's a short episode, but an important one...especially if you or a loved one is a Type-1 diabetic. Anistyn is Alan's daughter who was diagnosed with Type-1 diabetes on February 04, 2015. But, she's quick to let you know that she doesn't "suffer" from diabetes, she LIVES with diabetes. "Uncle" Jordan asks Anistyn about her second year to attend Camp Sweeney, a world renowned diabetic camp geared specifically for children with Type-1 diabetes. She talks about being away from home for 20 days...without parental communication, the activities she participated in, the lack of sleep because of nonstop "partying", the "Sweeney 5" band and the bittersweet day when it's time to go home. She also talks about being a flower girls in Jordan and Haleigh's wedding her first day out of the hospital after diagnosis. As STF producer, Aaron Willis, says during the intro, most people aren't aware of Camp Sweeney. But, if you would like to know more, please visit www.campsweeney.org. 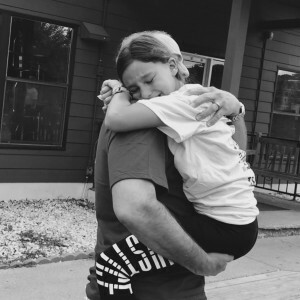 If you have any questions for Anistyn about Camp Sweeney, email her at therealsmalltownfamous@gmail.com and put "Anistyn" in the subject line...we will get her the message! Thanks for listening and a special thanks to Aaron for his great intro! Fame is relative. It can be legitimate or undeserved. It can endure or be a "flash in the pan". Likewise, what defines a small town is subjective. What is "small town" to some may be "big city" to others. Our podcast is dedicated to stories or personalities that have their roots in a small town. Even in a small town or rural setting, we are surrounded by fascinating people who have incredible or intriguing stories. 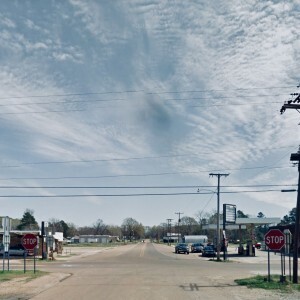 Because of the enormity of this subject matter, we had to narrow our threshold of what defines a "small town" to a population of under 50,000. Our goal is to entertain you with people who actually are famous, as we define "fame" today. Yet, they continue to reside in a small town. Perhaps you will have heard of them. If not, you will know them by the end of the show. Also, we will uncover folks who are not famous or even well-known in their towns. Yet, they are tied to an event or have a story that, if brought to light, would be deserving of fame. We will also discuss those who are in the shadow of fame while residing in Small Town, USA. Perhaps, they have a world famous relative and know the real celebrity when the spotlight is removed. Finally, we hope to bring you interviews of those who have achieved fame but acknowledge that their roots are deeply embedded in the "small town philosophy". And, of course, we can't forget those who may be infamous in our little towns. They're story should be told. "Are You Small Town Famous?™"